How Long Will You Live?-Life Expectancy Calculator? the one she had lost. The clerk gave her a form to fill out. filled in, the office erupted. grandchildren, and 10 great-great grandchildren. Her secret? How did she live to be 120 years old? oil-centered Mediterranean diet as conducive to longevity. major common diseases, or overall mortality." aging that turns apples brown. records of 145 Greek people. olive oil in your salad dressings. bought mayo made with saturated fat. 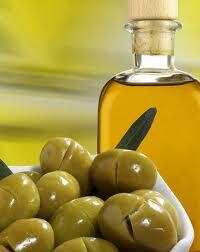 Try cooking with olive oil instead of vegetable oil. market --you're bound to find one that pleases your palate. Olive oil has been linked to increased longevity. How often do you consume olive oil in your food?